On December 2nd the new exhibition “Microbiote” opened at Cité des Sciences et de l’Industrie in Paris, the biggest science museum in Europe. The exhibition features a brand new Inside Explorer exhibit that will allow user to explore real medical imaging 3D data in an intuitive way. 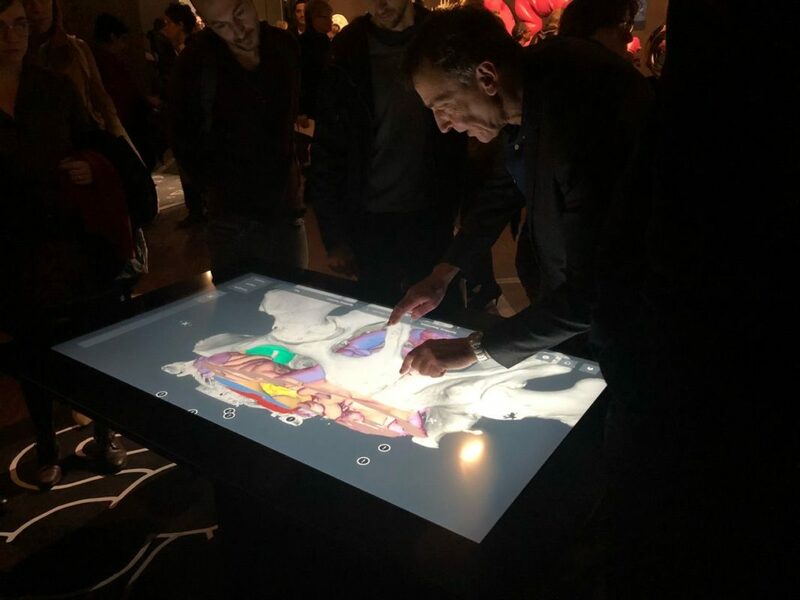 Interspectral have together with its French partner IMA solutions delivered a 55” Inside Explorer table featuring custom made content based on real medical imaging 3D data. 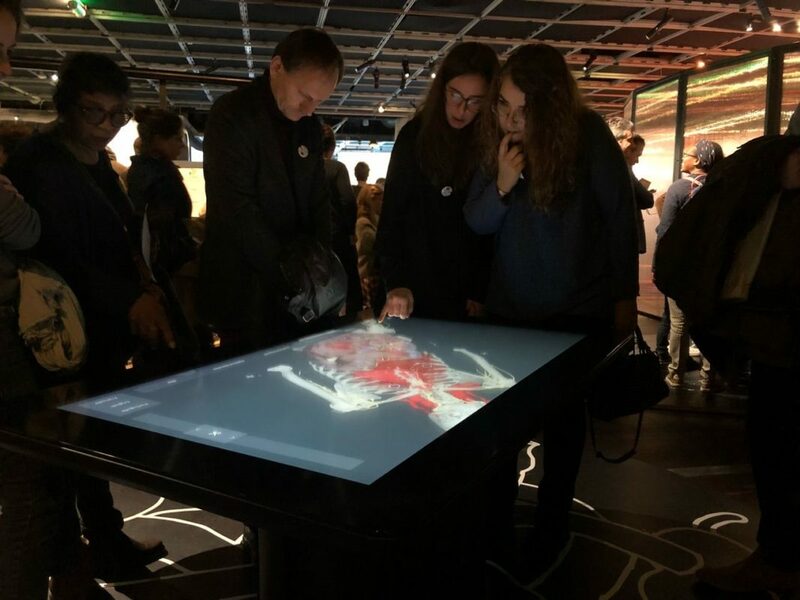 In the exhibit named “Explore our insides” the visitors to the exhibition can explore the human body in general and the digestive system in particular. The content is based on real 3D X-ray data that has been segmented to highlight different systems within the human body such as the vascular, digestive, nervous and lymphatic system. Cité des Sciences et de l’Industrie, which is the biggest science museum in Europe, is the first customer of Inside Explorer in France. The exhibition will be running until August 2019 and will thereafter travel world-wide to several venues.